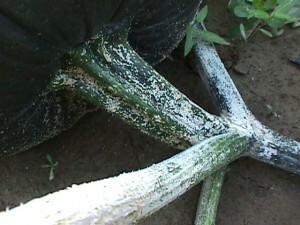 White speck on vine and stem of infected pumpkin plant. Note the numerous small, white diamond shaped lesions. 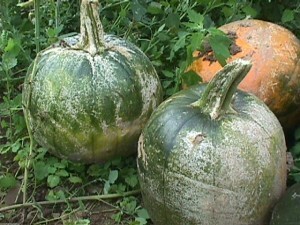 White speck lesions covering the surface of immature and mature pumpkin fruit. White speck will only cause cosmetic injury to fruit.